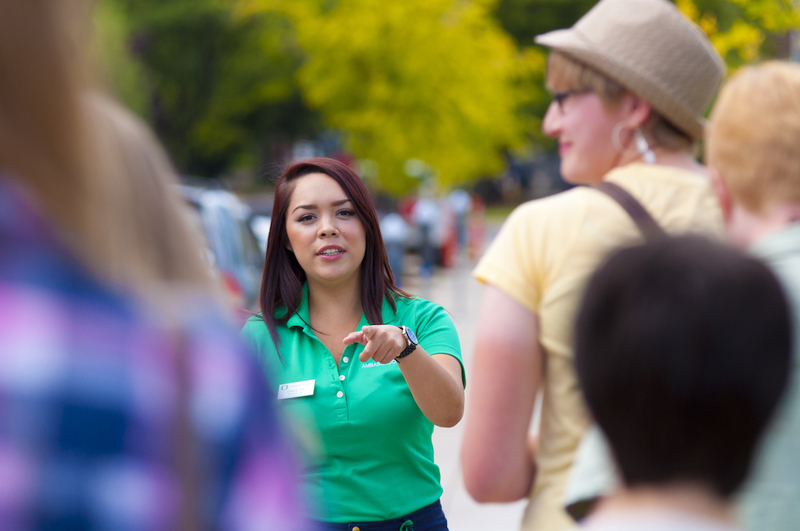 Enjoy our beautiful campus as our student ambassadors lead you on one of our campus tours, offered six days a week. Start with a 30-minute information session led by one of our admissions counselors and continue to a guided, 90-minute tour. Explore further with a department tour or a special visit event. 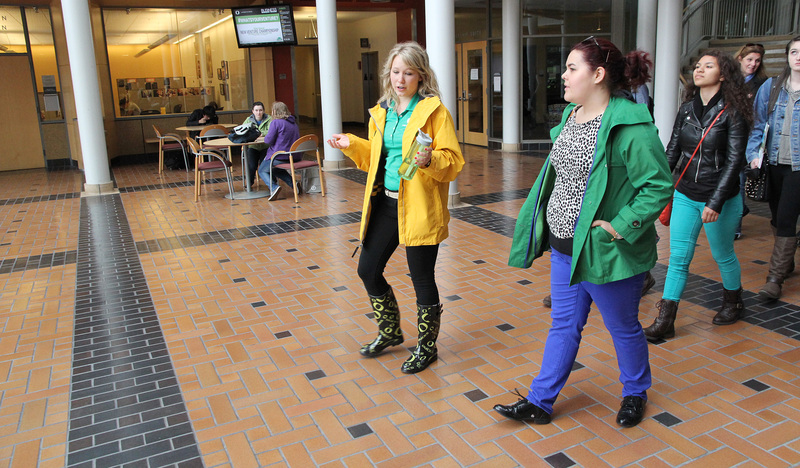 Duck Days is the University of Oregon's spring campus visit program for admitted students and their families. Whether you are a senior finalizing your college selection or a transfer student, don't miss this opportunity. Just for Juniors is the University of Oregon's new campus visit event for high school juniors and other high school students starting their college search early. Choosing the university that’s right for you is about determining if a school fits your dreams, goals, and personality. 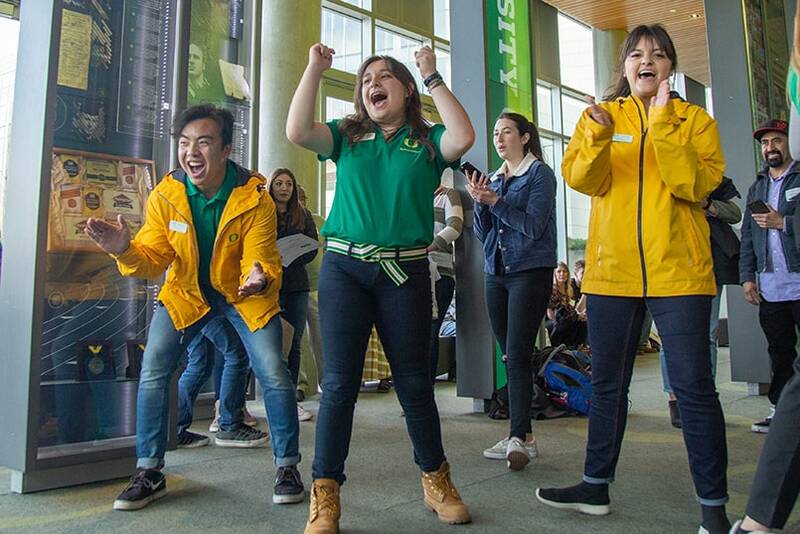 Duck Preview will let you take part in catalytic learning experiences led by dynamic faculty and interact with current UO students. Take a running tour. It's the first of its kind in the nation. And that it should debut at the UO is as natural as, well, rubber in a waffle iron. You'll have a chance to see some campus and nearby sites that emphasize the area’s running pedigree while getting a few miles in yourself. Join UO student ambassadors on a 3.7-mile tour of running trails surrounding the UO campus and discover the history behind Eugene’s nickname “TrackTown USA.” Our ambassadors run at a comfortable pace (10-minute mile) and stop frequently to point out the many landmarks. You’ll still have plenty of time to shower and make it the general walking tour.